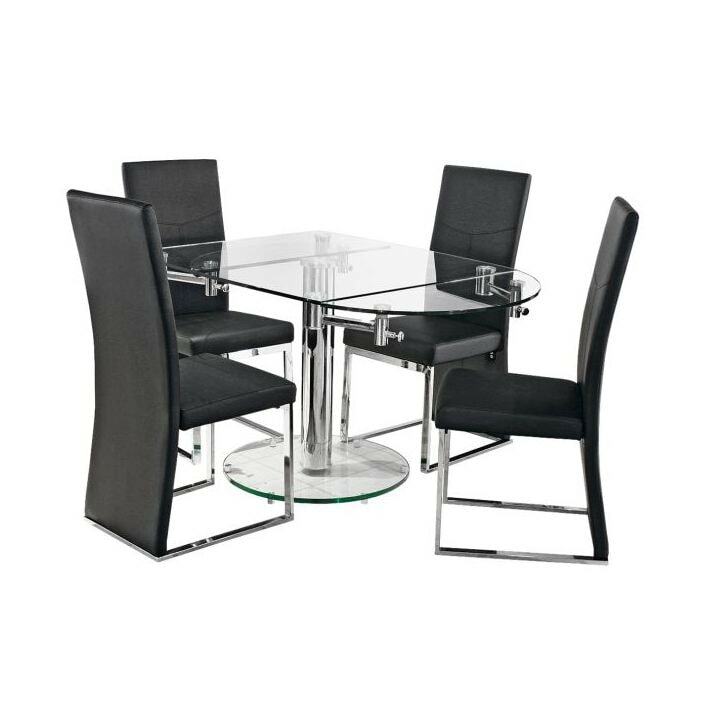 This glass extending dining table is the perfect piece for the style savy modern home owner. When closed up it gives ample room for four. The oval ended extensions turn it into a six seater. The clever mechanics of this table will impress your dinner guests for sure. Handcrafted and carefully built to the highest quality, this dining table is sure to find a way into your wonderful home.